Amazon has officially announced the all-new Kindle Paperwhite on its site – it is a refresh of last year’s model, with a better screen resolution and some new software. 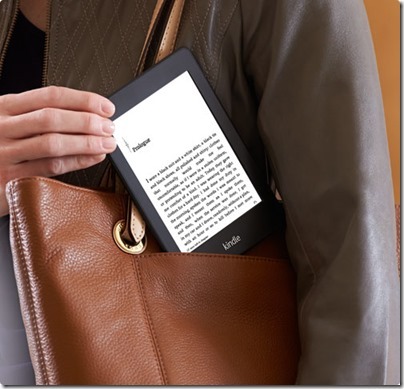 All-new Kindle Paperwhite will be available September 30th, 2013. Kindle Paperwhite was in itself amazing and wonderful device to have. Read our Amazon Kindle Paperwhite Review. If you already own a Kindle Paperwhite, you don’t have to feel bad. If you were holding out, hey, this screen is really nice! Amazon wants its Kindle devices to be kind of invisible and give its readers a pure reading experience – looks like that is the direction Amazon Kindle is headed for. Physically, the new Paperwhite is basically identical to the old Paperwhite. It’s the same size, weight and feels the same. All of Amazon’s effort seem to have gone towards the screen, which really does look a lot better. The frontlight has been completely rebuilt, and it’s now even more even across the board. Further, the contrast makes the text look actually white when the light is at full brightness, and more pleasant throughout. The new Kindle software improves the experience when you turn the page. Fonts don’t take time to become sharper and it feels like they were already there! Also, since Kindle Paperwhite hardware essentially remains the same, there isn’t a need for new Kindle covers. Read the Best Kindle Covers. 1. Page Flip is completely revamped. As you drag the slider around the bottom of the screen, instead of the Kindle taking you to that page in real time, it shows you a preview of the page you’re thinking of navigating to. You can X out of the display at any time and go back to your page, or tap the page and you go to it. 2. Kindle Paperwhite gets its own version of Free Time. Since it is better that kids spend more time reading than playing, this one actually lets you set achievements or reading time goals. There is a dashboard view where you can see how long the kid has spent reading each book, her progress, and when she started, among other stats. 3. The device comes with support for in-line footnotes and a vocabulary tool. Like its predecessor, the device features built-in Wi-Fi and free 3G and can last for eight weeks on a single charge. 4. Footnotes get a massive upgrade – they are now just pop-ups right on the page itself. 5. Goodreads makes an appearance with Want to Read, Reading, and Read shelves, and the ability to check in on your friends’ progress or read reviews. 6. There are two dictionary-based features worth noting, too – smart lookup and vocab builder. Amazon Kindle Paperwhite with special offers is available for $119 and without special offers will cost $139. If you were waiting for Kindle Paperwhite, the time is now! Check the details at Amazon. If you own an old version of Kindle, it is a great device to own.